News of a death can come in the form of a phone call or you may have been with them until the very end. When death comes your reaction will be of shock, disbelief and deep grief. Mixed emotions will surely follow; numbness, disbelief, fright and bewilderment as to what to do next. Should you be responsible for reporting the death, making, funeral arrangements or executing the Will you are likely to feel overwhelmed. Contact the family doctor ad in most cases they will issue a death certificate plus a formal notice stating that they have signed the certificate, which will also tell you how to register the death. If death is violent, accidental or there are suspicious circumstances. The medical certificate of ‘Cause of Death’ will be issued by the hospital doctor unless the coroner needs to be informed. The hospital will keep the body in their mortuary until a funeral director or family arrange for collection. A death should be registered within 5 days. Ideally, at the register office in the same area as the person died or there could be a delay. Make an appointment beforehand as registering a death will take up to half an hour. To make an appointment an on-line booking service is available in most areas. 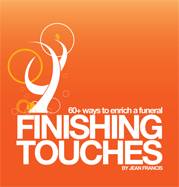 Arrangements for the funeral can be made as soon as you feel able to undertake the task. 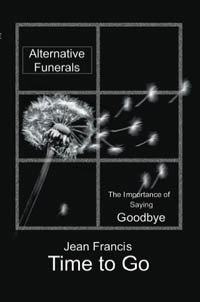 The funeral director will give you all the advice, guidance and support you need. If the death has been reported to the coroner this may affect the date when that funeral can take place. Check to see if the deceased’s Will includes: instructions for the funeral. Also check whether the deceased had made funeral arrangements and paid for them in advance. If you are next of kin and there are no specific instructions about who is expected to do so, it is up to you to make the funeral arrangements. Whether there will be a funeral service. Whether you want flowers for the funeral or donations for a named charity. Most deaths are registered by a relative. You will have to give your relationship to the deceased and your full name and address. Details of what information you will need are given on the envelope containing the medical certificate. A stillbirth will need to be registered within 42 days. The midwife caring for you, or the register office, will explain to you who can register the stillbirth, when and what paperwork you need to take with you. Whether they were receiving a state pension or any other state benefit. A certificate of burial or cremation (a green form), giving permission for the body to be buried or for an application for cremation to be made. You can ask the registrar for extra certificates that you may need for the Will and any pension claims, insurance polocies, savings bank certificates and premium bonds (photocopies are not accepted). These certificates must be paid for. You may apply for extra copies later but these will cost more. Human bodies are used to teach medical students about the body and how it works, and to train and develop the skills of surgeons and pathologists. Researchers use human tissue to improve understanding of how diseases start and progress and what keeps us healthy. Organs such as kidneys, liver and lungs are used in transplants to treat people whose organs have failed. To find out more about leaving your body, tissue or organs for medical research, contact Human Tissue Authority at: www.hta.gov.uk or call 020 7268 1900. To join the Organ Donor Register, visit: www.uktransplant.org.uk or call the Organ Donor Line: 0300 123 23 23. Lines open 24 hors a day. 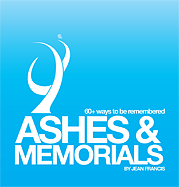 The above information is by courtesy of The West Sussex Bereavement Guide.